Ever wondered how your endurance horse converts last night’s dinner into today’s performance? This is how he does it. The horse’s body converts feed into energy storage molecules (glycogen, glucose and free fatty acids). During exercise, a horse’s muscles need ATP (adenosine triphosphate), in order to contract and work . When the horse is working at a moderate pace (usually up to trotting speed in a fit endurance horse), the aerobic pathway produces ATP for muscle contraction from glycogen, glucose and fatty acids. It uses oxygen which has been carried to the site of action by the blood. Harmless by-products are produced, which are excreted as the horse sweats. When the horse needs to expend more energy than this by, for example, climbing a hill or producing a burst of speed, anaerobic metabolism takes over. Anaerobic metabolism doesn’t need oxygen and produces energy very fast, but in small amounts. The big disadvantage of the anaerobic pathway is the production of a by-product called lactic acid, which builds up in the muscle, causing the pH of the muscle to drop, producing fatigue and possibly contributing to the “tying up” syndrome. When a certain level of lactic acid in the muscle is reached, the pathway shuts down. Then, the fast muscle action cannot be maintained. Most of the time, the endurance horse travels at speeds which can be fuelled by the aerobic pathway. If fit, the anaerobic pathway should only be used for short intervals. So fatigue in endurance horses is more likely to result from the glycogen stores running out than from lactic acid build up. Eventually however, the horses heart rate increases, the rate of ATP utilization increases, and the “anaerobic threshold” is reached. This usually happens at about 140-150 beats per minute. At this stage, fatigue starts to set in. Adequate starch and fat must be provided in the diet of the endurance horse. Starch is very important, as it is one of the major factors in the synthesis of glycogen. Increased feeding of fats has been shown to have a glycogen sparing effect. This means that a larger proportion of fatty acids are used in the aerobic pathway, thus increasing the amount of time before the glycogen runs out. So, it would be a good thing to supplement the endurance horse’s diet with up to one cup of sunflower oil per day. Protein, although essential in the diet and useful in many ways, should not be fed in excess. This is because it is not an efficient energy source, it results in a need for increased water and potentially harmful breakdown products such as urea and nitrogen are produced. One of the most important energy sources for the horse is fibre (provided by hay or grass). The horse’s hind gut is full of bacteria that ferment fibre. 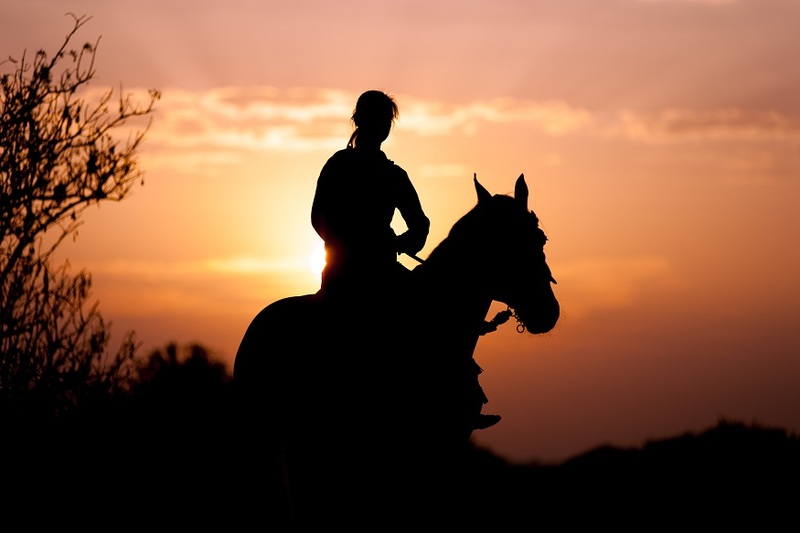 The fermentation process produces energy for a long time after the meal, making this a valuable source of energy for the horse during the ride. Besides these there are nutrients that are sometimes missing or insufficient in feeds. So it is always wise to feed a good supplement which provides these nutrients. help to delay the “anaerobic threshold”, thus prolonging the period of harmless aerobic ATP generation and delaying the onset of muscle fatigue.